I feel really lucky to be able to try out the latest and newest technology in anti-aging and today I wanted to tell you about a brand new anti-aging device: the SKINCLINICAL Reverse Anti-Aging Light Therapy device. 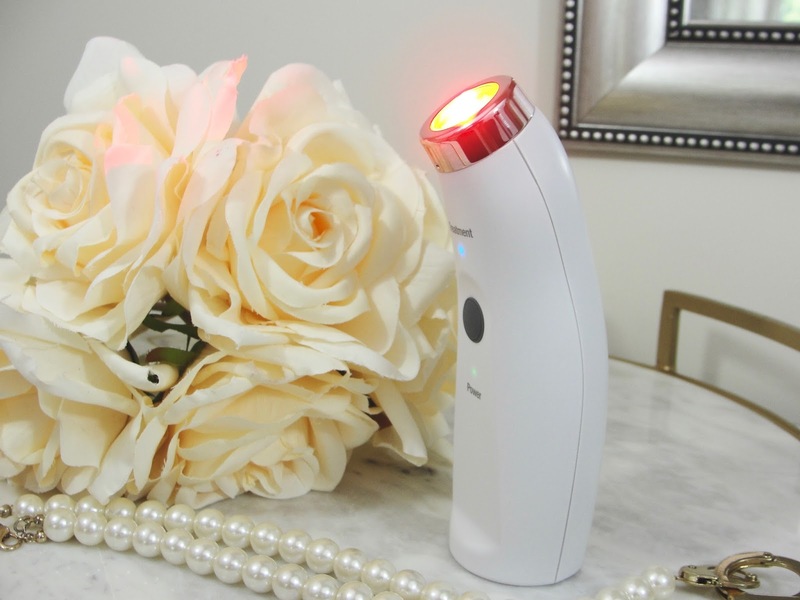 And did you also know that Light Therapy is clinically proven to reduce fine lines and wrinkles, as well as improve skin texture, elasticity and firmness by stimulating collagen production. So, how does this device work? BTW: this is the ONLY medical grade, at home light therapy device that is FDA cleared! How awesome is that? Starting in our 20s, we start to lose collagen, an essential building block in our skin, at the rate of about ONE PERCENT PER YEAR! By the time we are in our 50s, one-third of our skin's collagen is lost, leading to fine lines, wrinkles, and a loss in firmness...so sad! But then again: there is hope with Reverse Anti-Aging Light Therapy! Wow- look at the technology of this tool! Reverse energy output distinguishes it from other devices in terms of intensity and pattern of light emission. 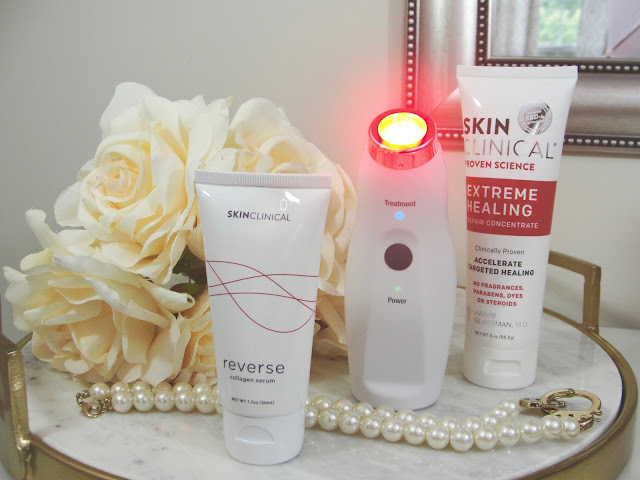 Reverse has the highest energy output of any at-home LED device - an output equal to light therapy devices used in doctor's offices and medspas - allowing it to penetrate deeper into the skin. Reverse LED light is arranged without spacing or gaps to more evenly treat the skin. Apply the device for three minutes per area each day to painlessly stimulate collagen production and diminish wrinkles. 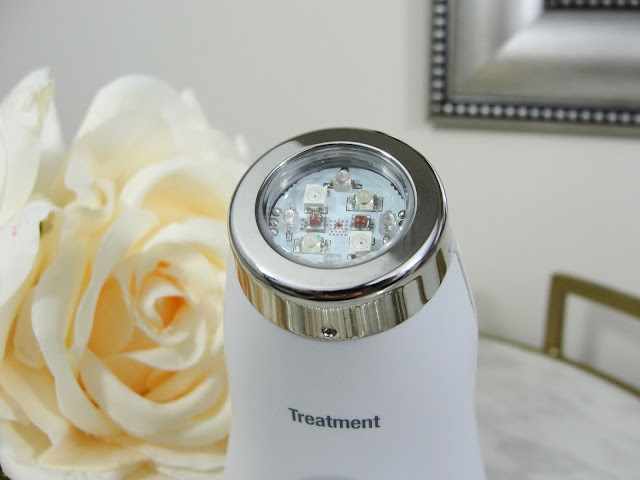 The light of the device penetrates the skin so there is no need to apply pressure during treatment, especially as some areas of the face are more delicate. Place the device lens in contact with your skin gliding gently along the treatment area. The device will beep after 3 minutes and is programmed to turn off every-two cycles (about 7 minutes) to ensure that it is not inadvertently left on. Simply press the button again to turn it on and resume treating any other areas. The Extreme Healing Repair Concentrate ($19) is an ideal spot treatment for dry and damaged skin caused by everyday activities as well as serious conditions (e.g. eczema, psoriasis, diabetes, radiation therapy, tattoos, cosmetic procedures). 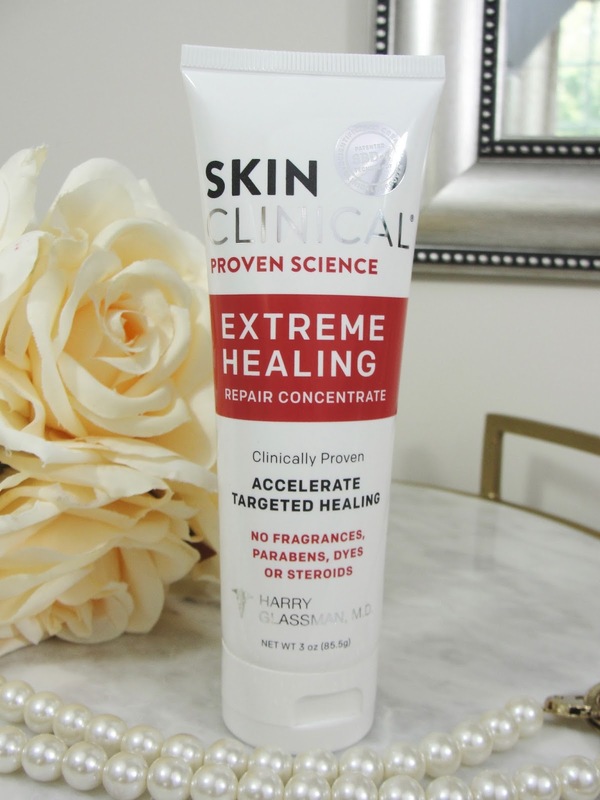 This is a light weight but deeply moisturizing, lightly and pleasant fragranced lotion. 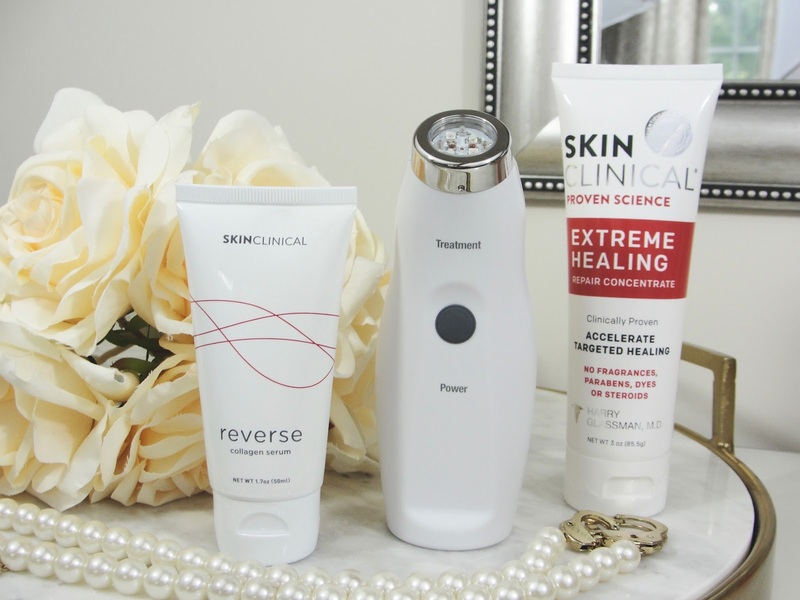 The SkinClinical Collagen Serum ($38) is proven to improve the appearance of fine lines and wrinkles. The patented active ingredient promotes collagen formulation in just over 2-weeks leading to most people seeing results in as early as 4-weeks. 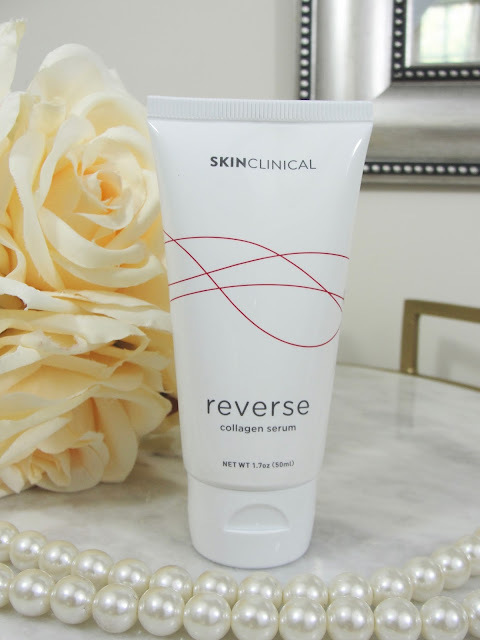 This formula promotes collagen formation by stimulating skin's natural cell regenerative process. With increased collagen, skin's elasticity and thickness are improved, resulting in healthy- and younger-looking skin. 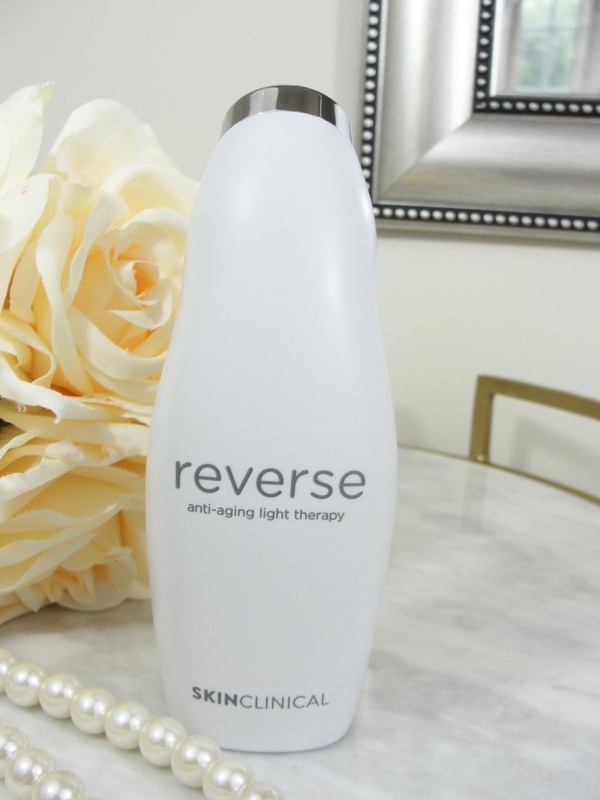 This serum is a thin white lotion that feels hydrating but not greasy. 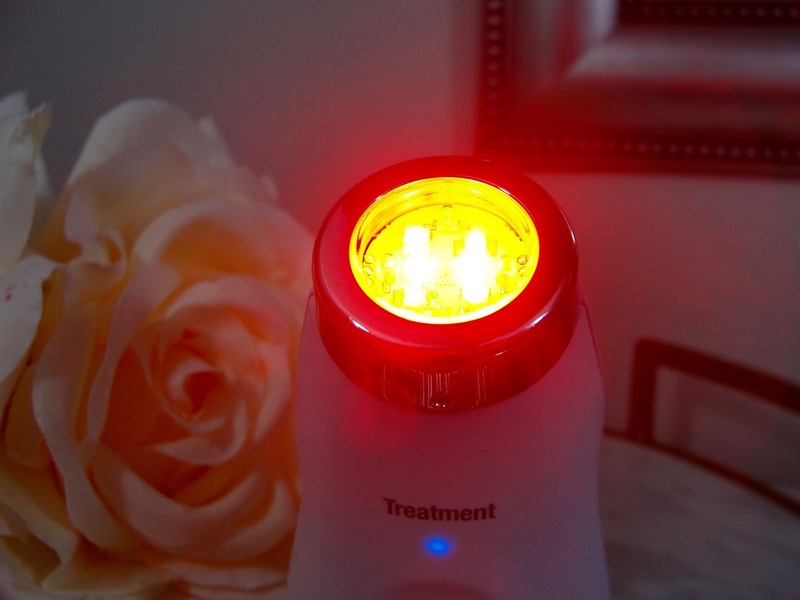 The Reverse Anti-Aging Light Therapy device does not hurt (like some laser devices that I have tried), but gives a nice warming effect. 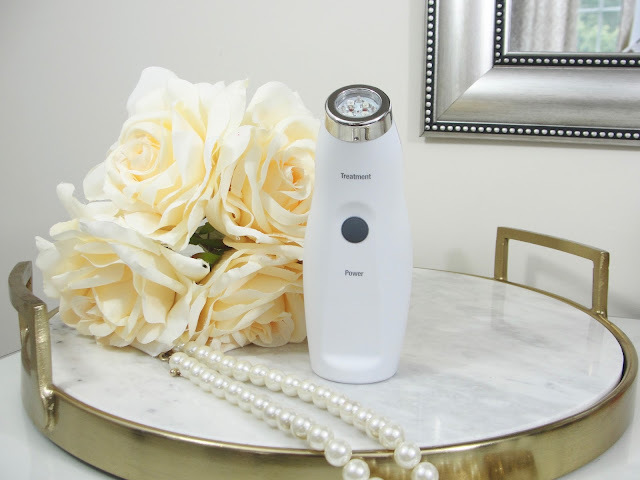 It is recommended to use it for 3 minutes per treatment area, which does not sound very long, however, I find that if I would want to use the device on my complete face, this can become a very long process. Let´s say: my forehead, my left eye area, my right eye area, my chin, my left cheek, my right cheek- this would add to 15 minutes! Impossible long for me personally! That is why I chose to use the device only on my main problem areas (which is my forehead and my crows feet). Since I am only using this device since exactly 2 weeks (every night), I can´t say that I see already something. Apparently you have to use it for at least 8-12 weeks to notice visible improvements in your fine lines and wrinkles, so I will have to update you in a couple of weeks on this! The device retails for $275 but with the code: SISSI25 you get 25% off! Wow- that is a $69 discount! Disclaimer: Thank you Skinclinical for sponsoring this post. I received the products mentioned above for free. Regardless, I only recommend products or services I use personally and believe will be good for my readers. 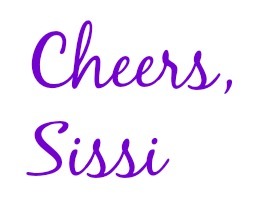 Contains Affiliate code. Read my full disclosure.